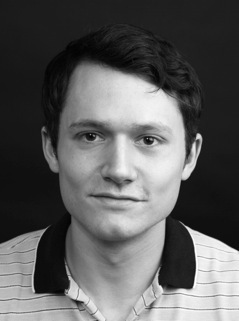 Dancer Dominic North first appeared with Matthew Bourne’s New Adventures in 2004 as an ensemble swan in Swan Lake. Since making his official début in a principal role as Edward in Edward Sissorhands in 2008 at the Sydney Opera House, he has performed as many of Bourne’s lead characters. Matthew Bourne is renowned for delving into stories in a bid to reveal characters’ motivations and unearth deeply buried narrative elements. His Sleeping Beauty is devised as a gothic romance full of fairies, supernatural surprises and, of course, true love. Bourne plays around with the time that the story is set so that Princess Aurora is born the year that the classical ballet first premièred and “comes of age” with a 21st birthday during the Edwardian era. This means that she is roused from her slumber in 2012 (which is when Bourne’s Sleeping Beauty was premièred). He certainly gives the traditional tale enough ingenious twists and turns to keep a contemporary audience intrigued. Just for starters, Aurora falls for the royal gamekeeper; the couple enjoy a sweet romance before the princess visits the land of Nod and a vampiric twist heavily influences who is there to wake her up a century later! Nonetheless, Bourne’s careful attention to detail when coming up with his concept means that he manages to put his own spin on proceedings while simultaneously paying homage to the masterpiece that the classical ballet will forever be. I am such a balletomane and The Sleeping Beauty may well be my favourite classical ballet (although, admittedly, the top-spot seems to change far too frequently to enable me to have a definitive favourite!). Still, prior to seeing Matthew Bourne’s version, I had never properly considered quite how momentous falling asleep for 100 years would actually be. Maybe it is just because we know the children’s yarn so well but his imaginative approach certainly adds an array of fascinating features that were missing from my bedtime stories! This Christmas, renowned British dancer, director, choreographer, actor and panellist Wayne Sleep will perform in pantomime at Milton Keynes Theatre. 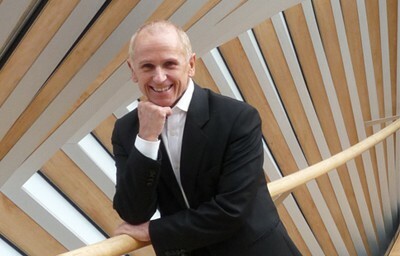 Famous for being the shortest male dancer to ever attend The Royal Ballet School (he is 5’2″), Wayne Sleep is best known for his career as a celebrated Senior Principal Dancer with The Royal Ballet. Numerous roles were created for him by some of the world’s greatest choreographers and he frequently featured as a guest artist with other companies. Appointed OBE in 1998, Wayne has also received honorary degrees from the Universities of Exeter and Teesside; is a Patron of the British Ballet Organization; is a Vice-President of the Royal Academy of Dance and has two entries in The Guinness Book of Records. In addition to dancing, Wayne also acts and makes appearances as a dance judge and celebrity. His credits include West End, regional and touring theatre productions; television shows and films – not to mention a plethora of pantomimes! Dance duo Vincent Simone and Flavia Cacace have thrilled audiences with sizzling Tango routines on Strictly Come Dancing; been crowned World Argentine Tango Champions and created and starred in their own Olivier Award nominated West End productions. It takes two to Tango but Vincent Simone and Flavia Cacace are hoping that the number three will prove to be lucky for them this year. After enjoying sensational success with their previous two sell-out shows Midnight Tango and Dance ‘Til Dawn, the Italian dancers are looking forward to completing a trilogy with their most engaging production yet. On Thursday 17th September, they will begin a 32-week farewell tour of the brand new show, aptly named The Last Tango. Vincent and Flavia are bidding a fond farewell to the world of theatre by giving fans in cities nationwide their last ever chance to see the well-loved partnership perform live in a full-length work. Audiences should expect captivating choreography accompanied by superb singing and marvellous musicians as Vincent and Flavia will be joined by a strong supporting cast of talented performers. Dancer Tim Hodges has featured in pop videos, performed in the West End and toured the UK and beyond in hit musicals. Currently cast in Matthew Bourne’s production of Edward Scissorhands, Tim found time between rehearsals to talk to Georgina Butler about how this witty, modern fairytale carves a place in audiences’ hearts. Inspired to pursue dance professionally after seeing videos of Mikhail Baryshnikov, Tim Hodges began dancing as a youngster in Milton Keynes at the Woollard Tiffin School of Performing Arts before winning a place at Tring Park. Now, aged 29 and starting to inspire the next generation of dancers through his own teaching, Tim Hodges is thrilled to be touring the United Kingdom as part of Matthew Bourne’s company, New Adventures, in Edward Scissorhands. I spoke to Tim before he attended today’s class and afternoon rehearsals to learn more about his life as a dancer and quiz him on what makes this Bourne show “a cut above” the rest. Stylish dance act Flawless rocketed to fame on Britain’s Got Talent in 2009 and their supernova routines have yet to be eclipsed. This Christmas they are starring as a pop-locking, hip-hopping pirate crew in Peter Pan at Milton Keynes Theatre.